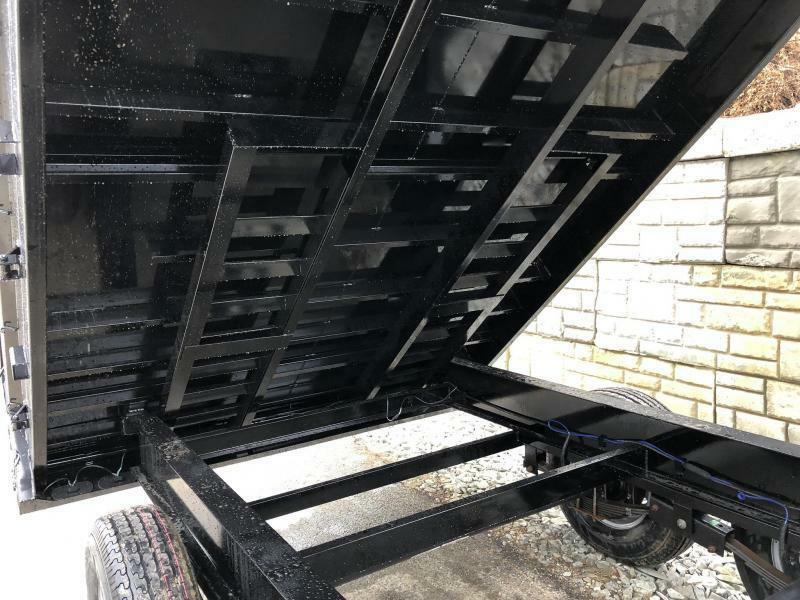 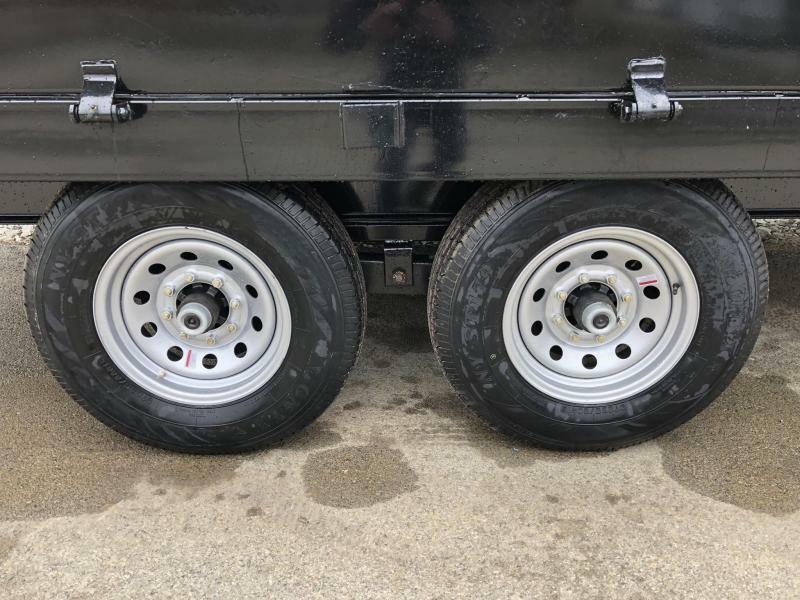 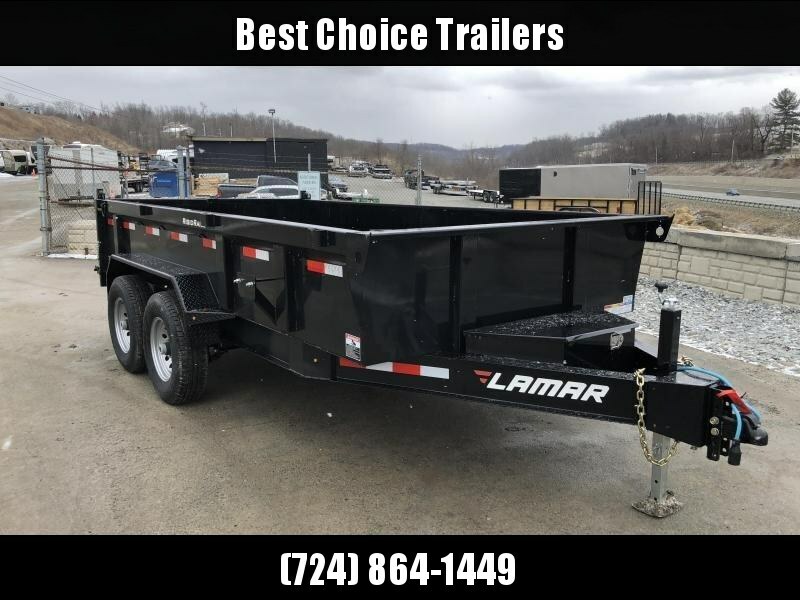 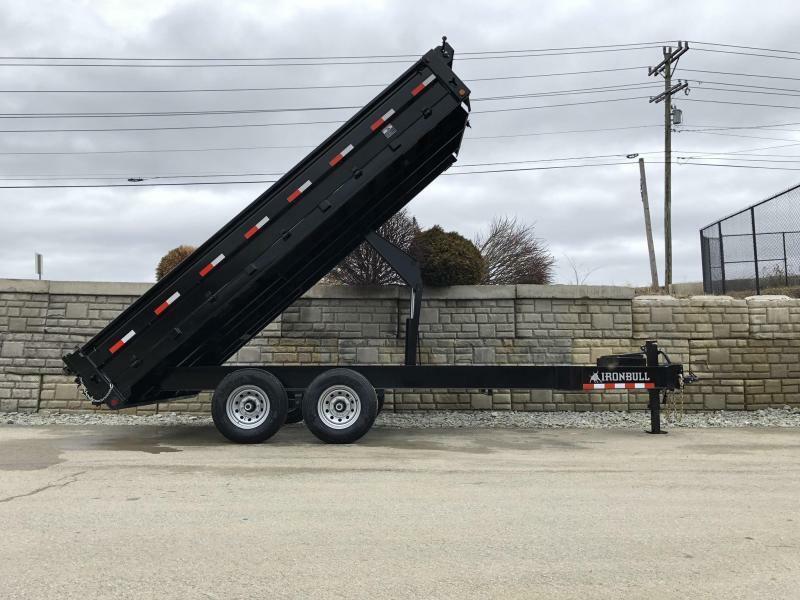 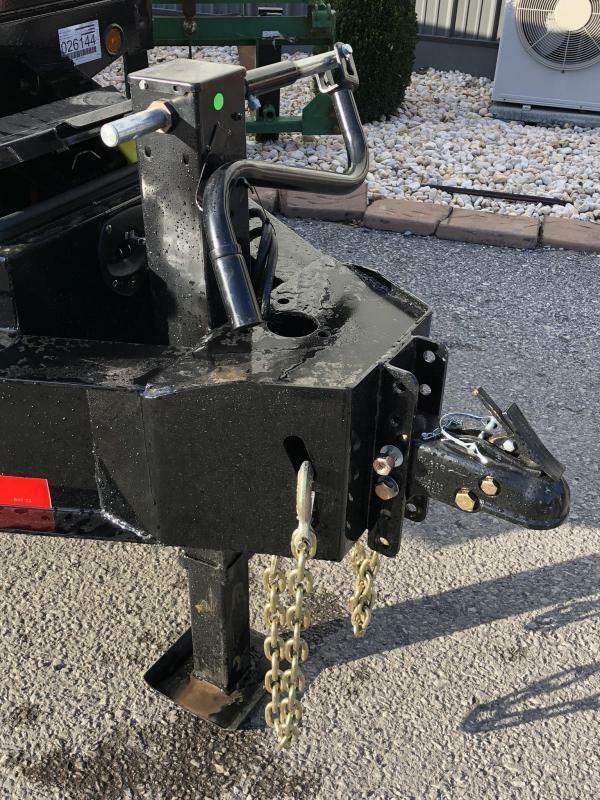 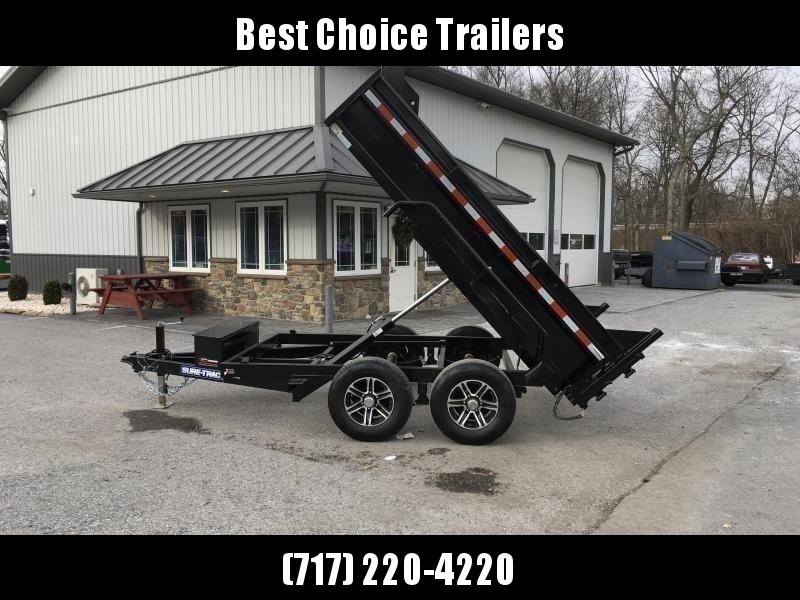 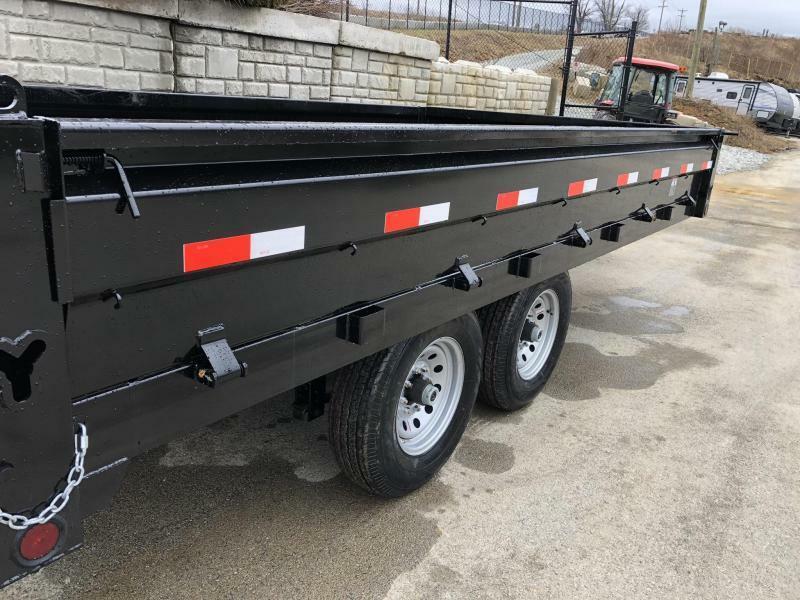 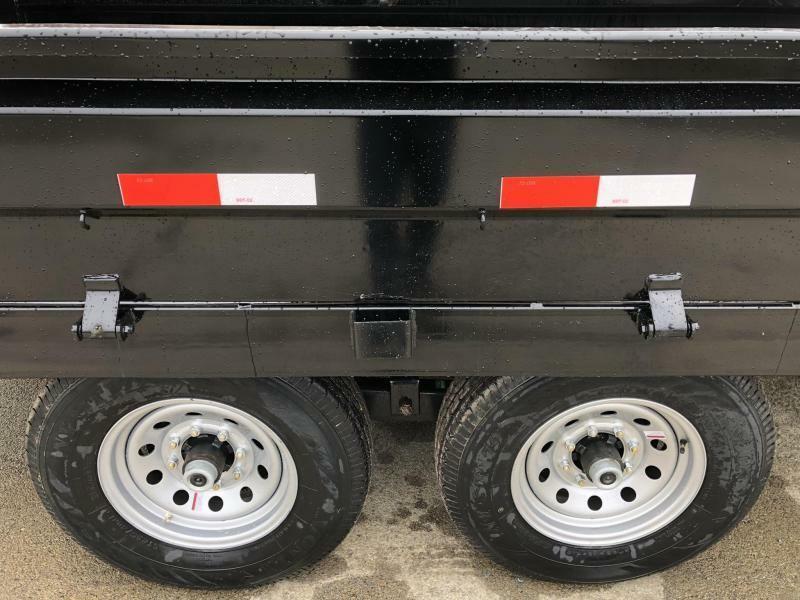 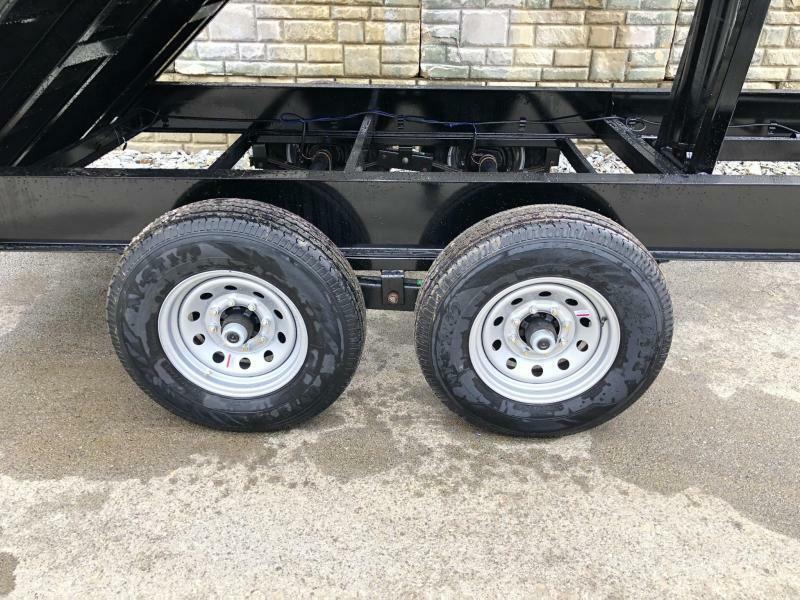 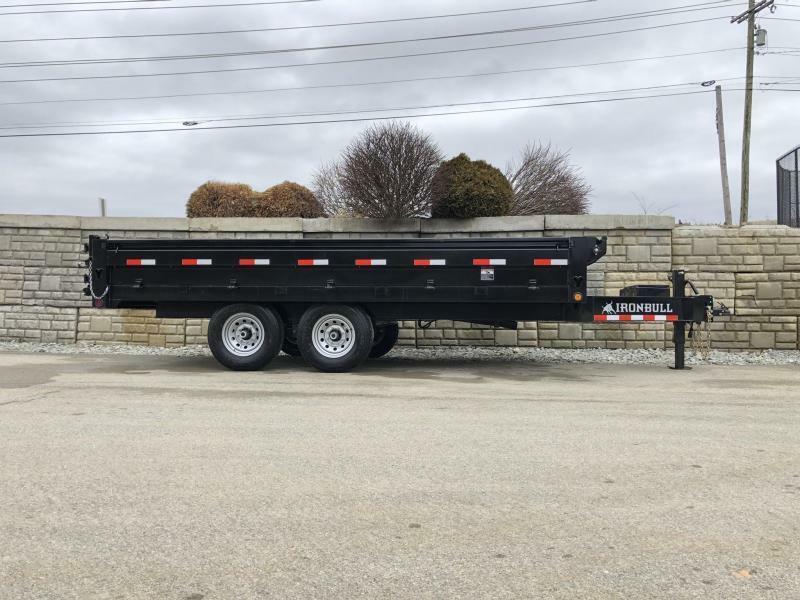 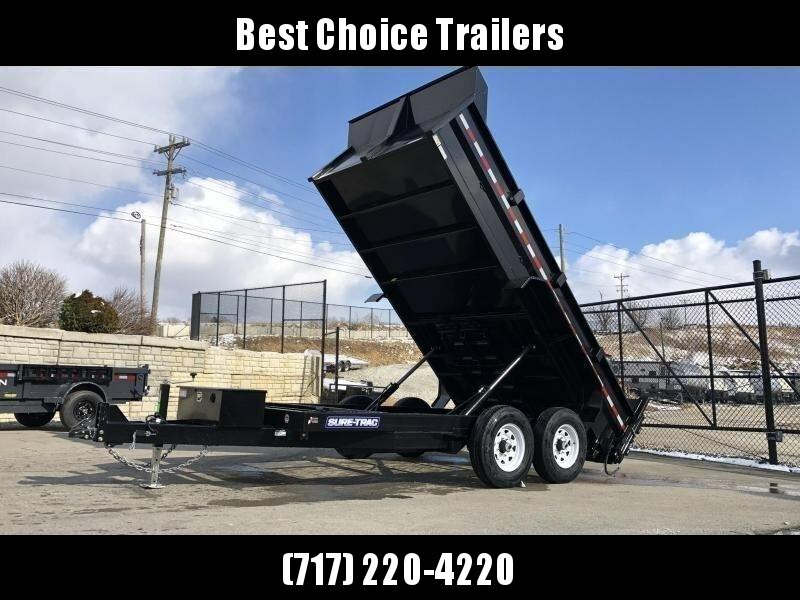 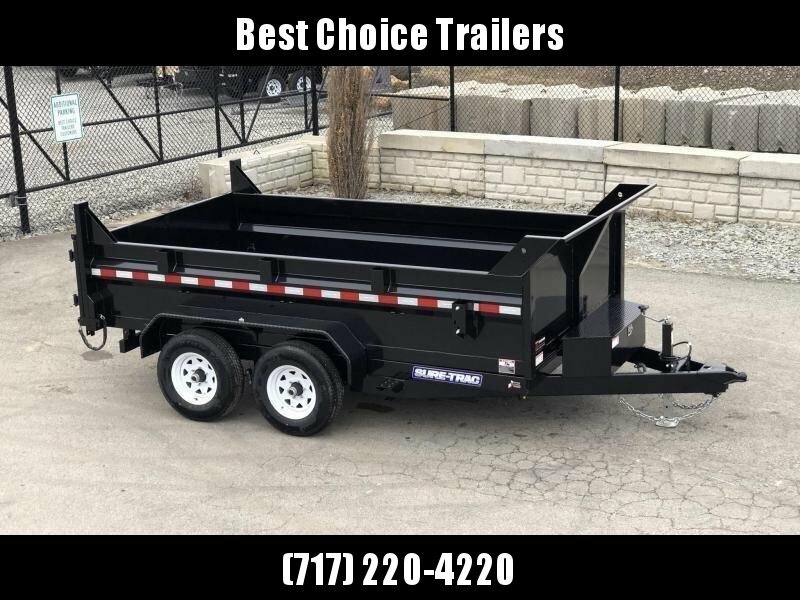 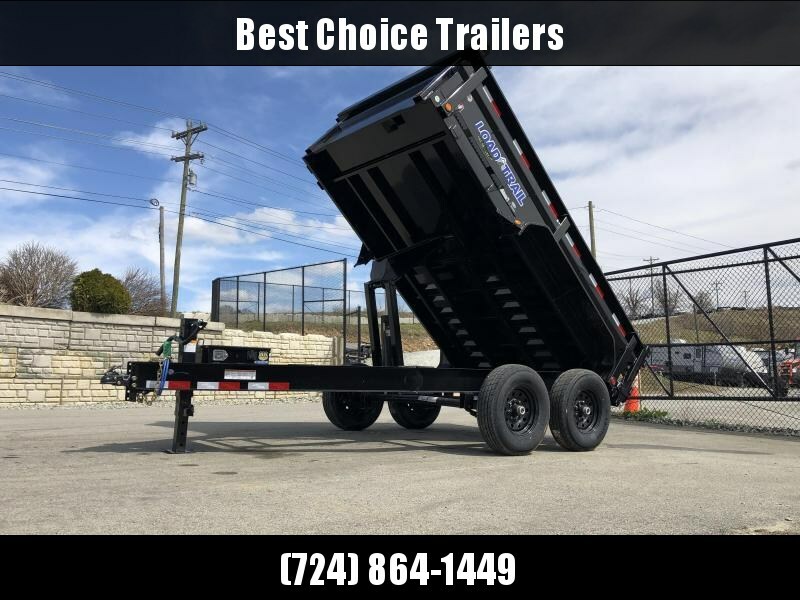 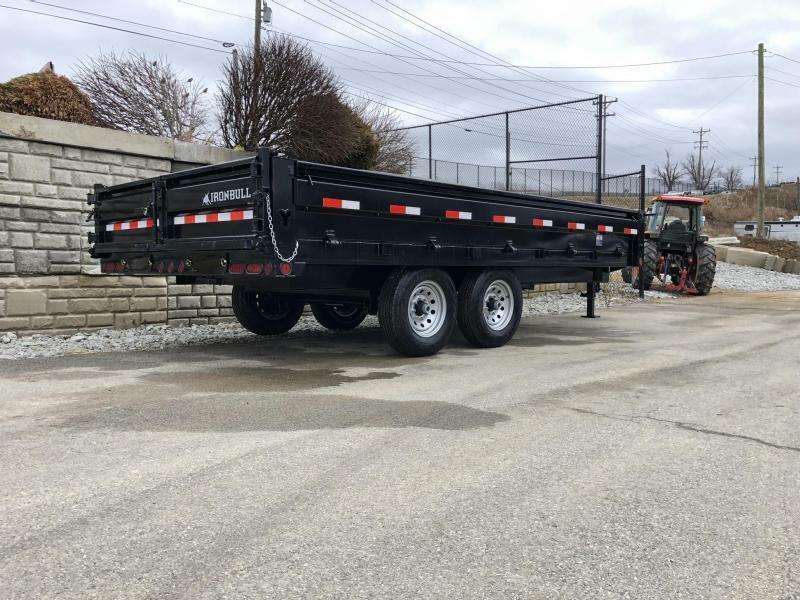 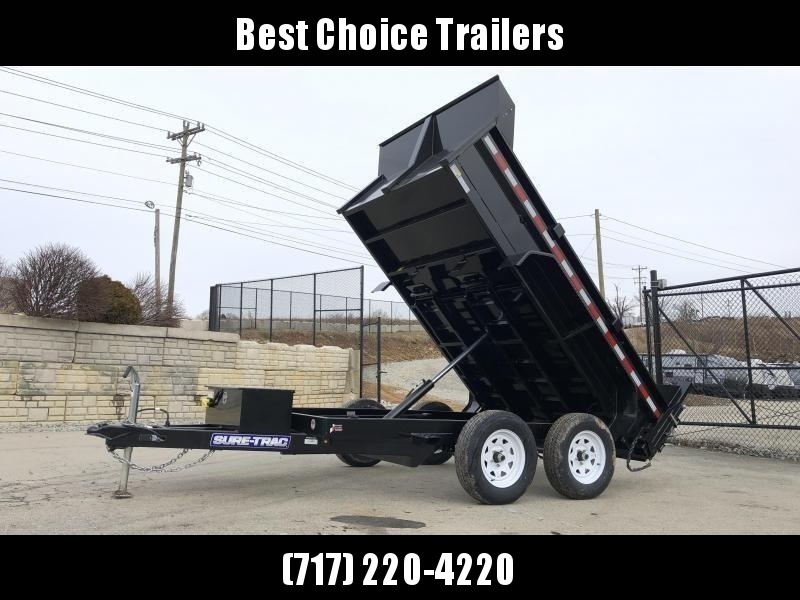 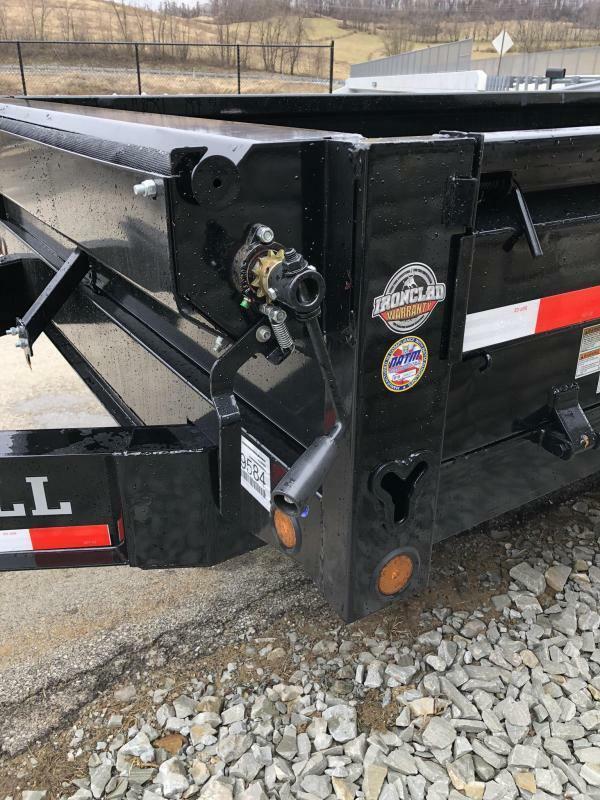 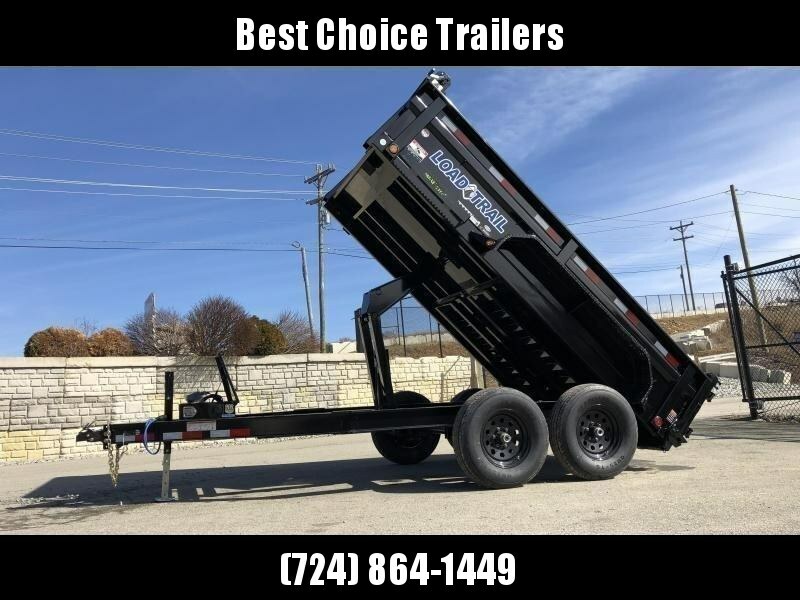 UPGRADES ON THIS HD DUMP INCLUDE: 12K JACK UPGRADE, BED SILLS (RARELY DO YOU SEE SILLS ON A DUMP SMALLER THAN A TANDEM DUAL, JUST A BED FRAME), OVERSIZE 5x20 SCISSOR HOIST, SPARE TIRE MOUNT, AND MORE. 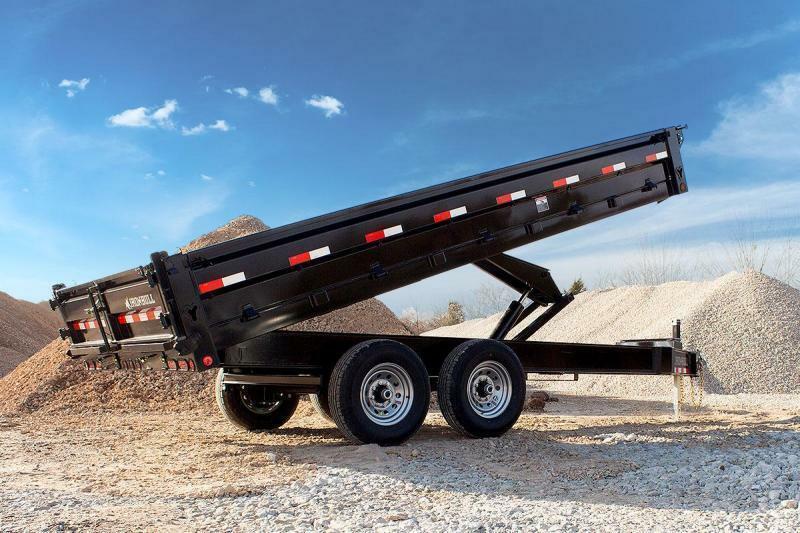 ALSO HAS FOLD DOWN SIDES, DEXTER AXLES, I-BEAM FRAME, 3-WAY GATE, AND MORE. 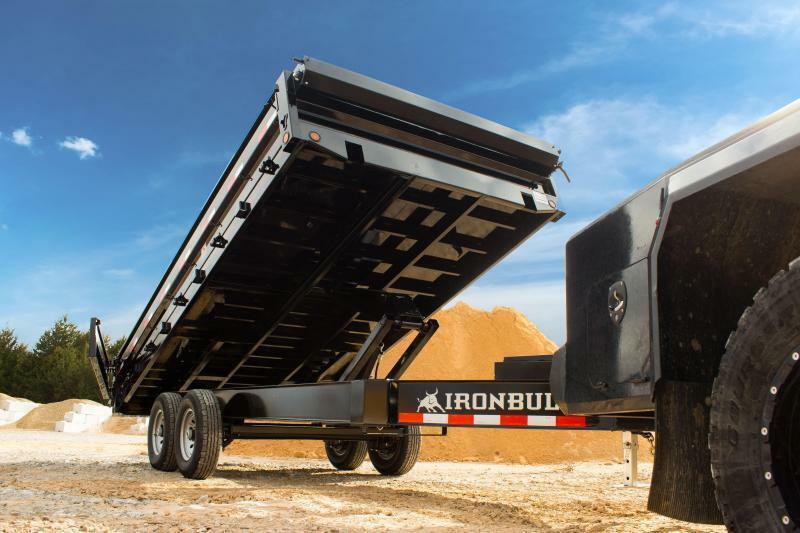 Iron Bull is happy to offer one of the best deckover dumps on the market to complement our standard trailer line. 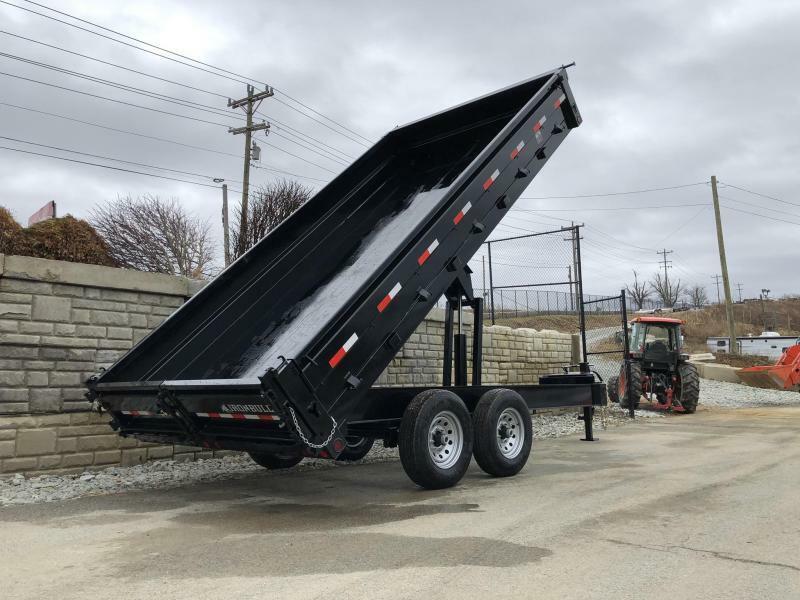 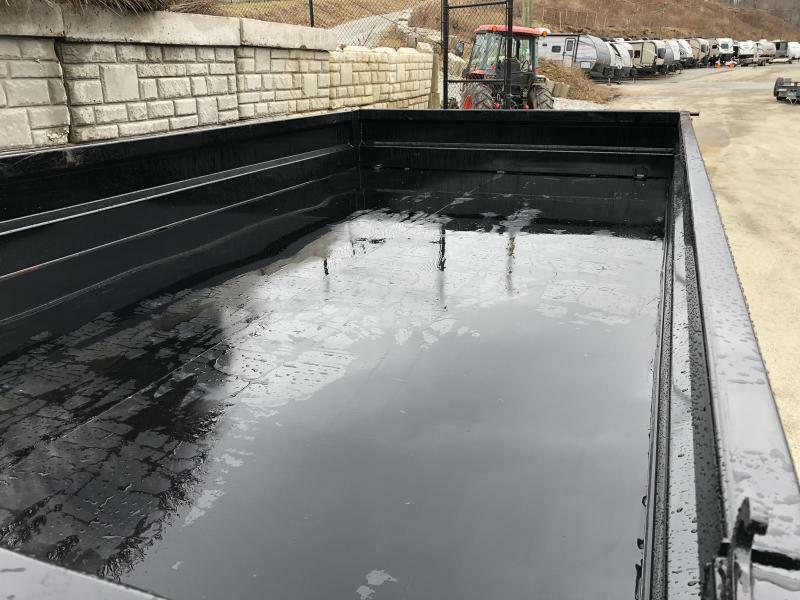 Our deckover dumps offer a raised deck (above the tires) to accommodate 10 gauge fold down sides and a bed width of 96". 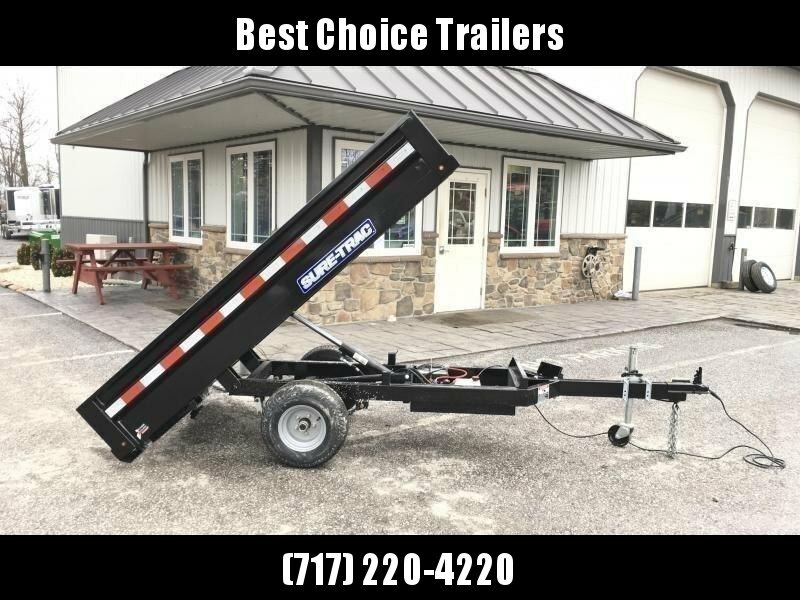 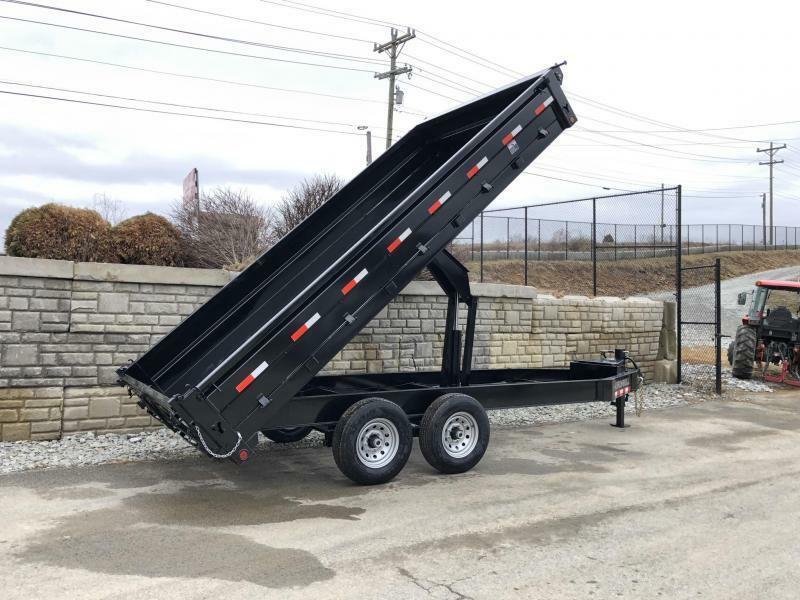 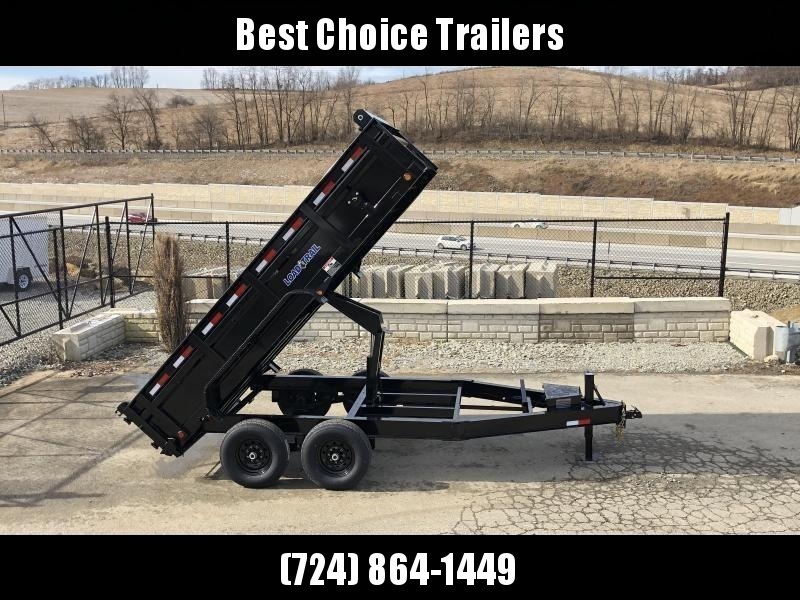 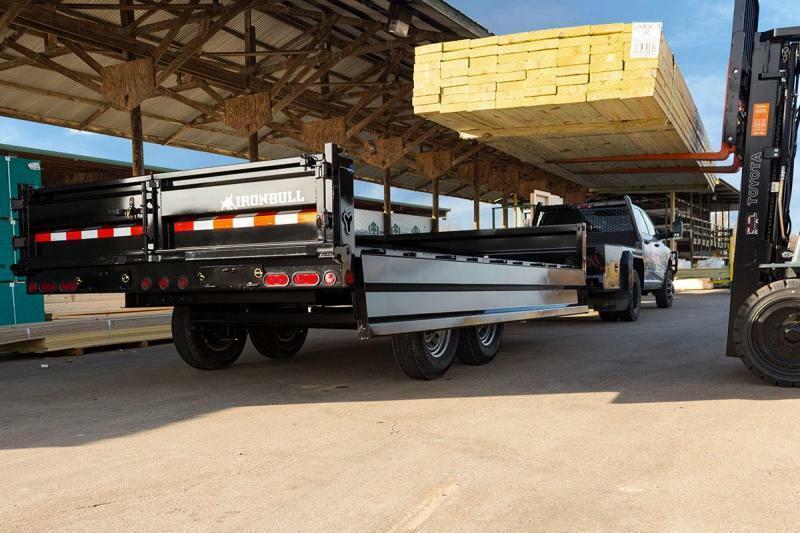 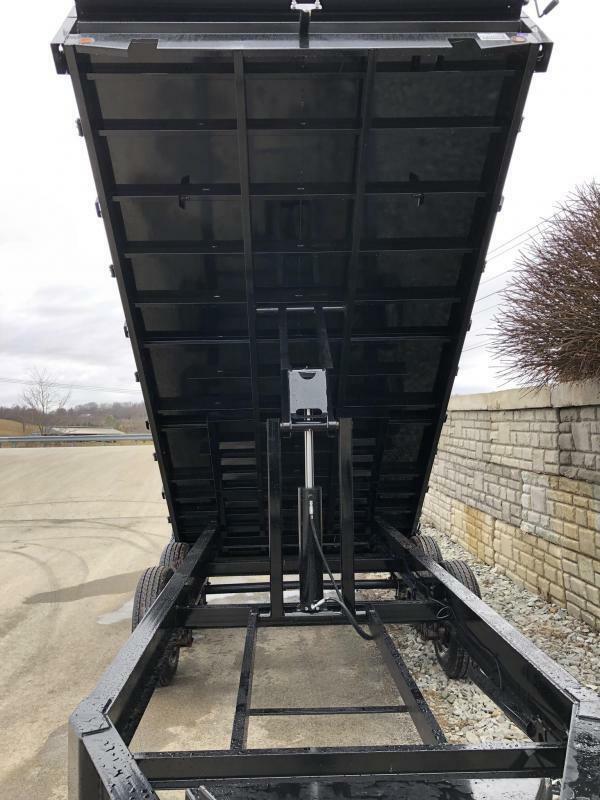 Available in gooseneck or bumper pull models, each deckover is equipped standard with 10" I beam frame and neck with a 12" riser on gooseneck models. 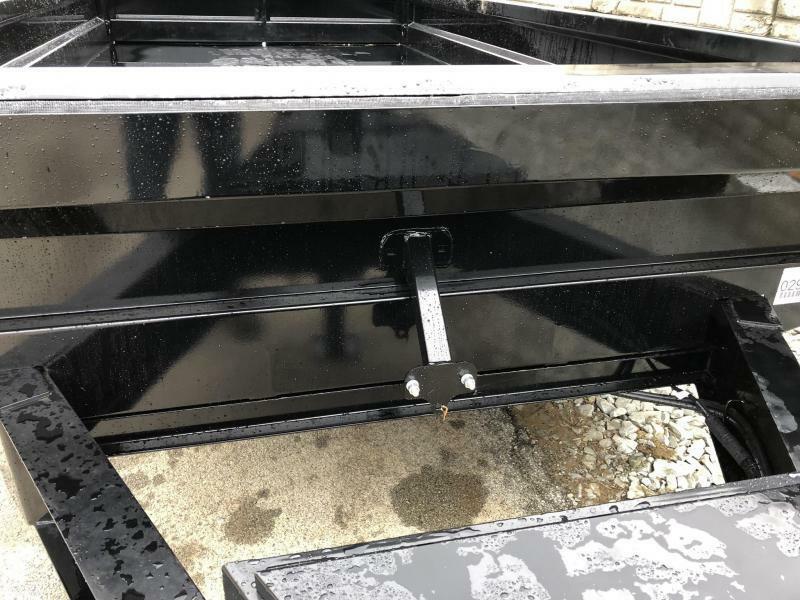 3" channel crossmembers span the 10 gauge smooth steel floor. 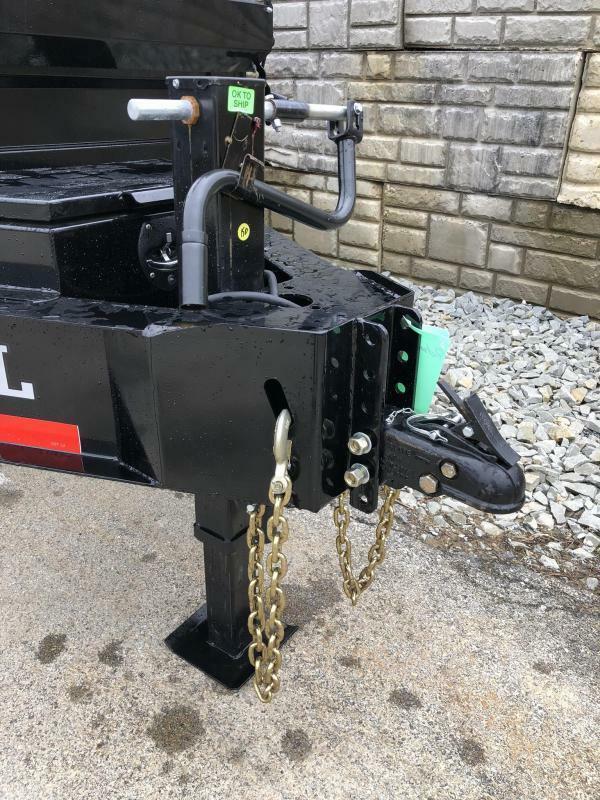 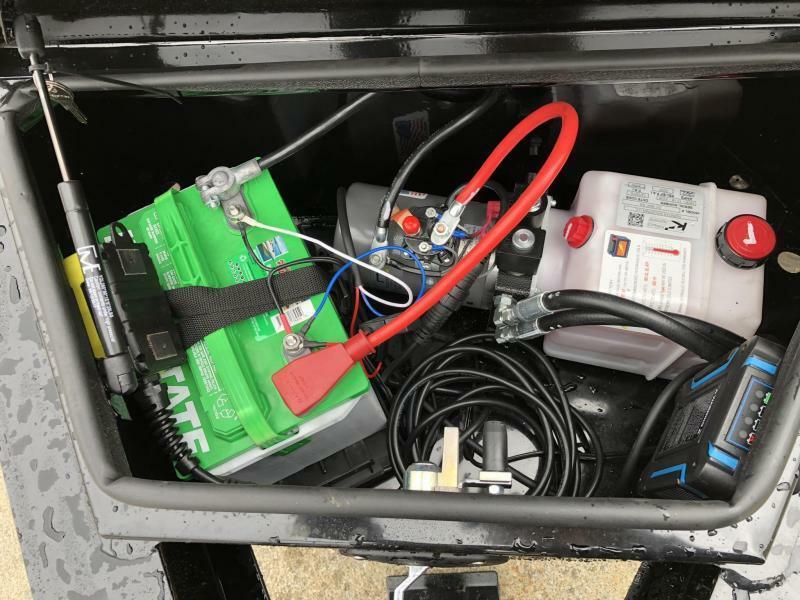 2 5/16" couplers are equipped standard on each model with a 7k drop leg jack and locking pump box to secure the trailer components. 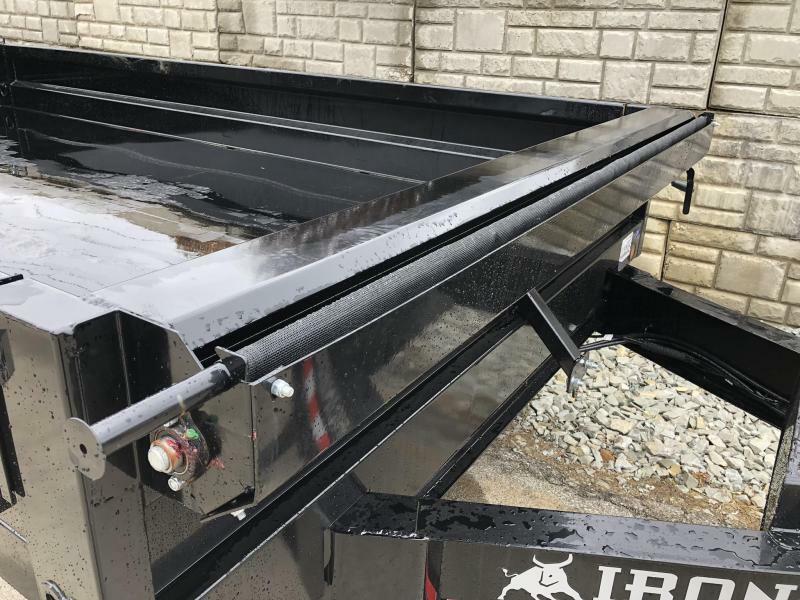 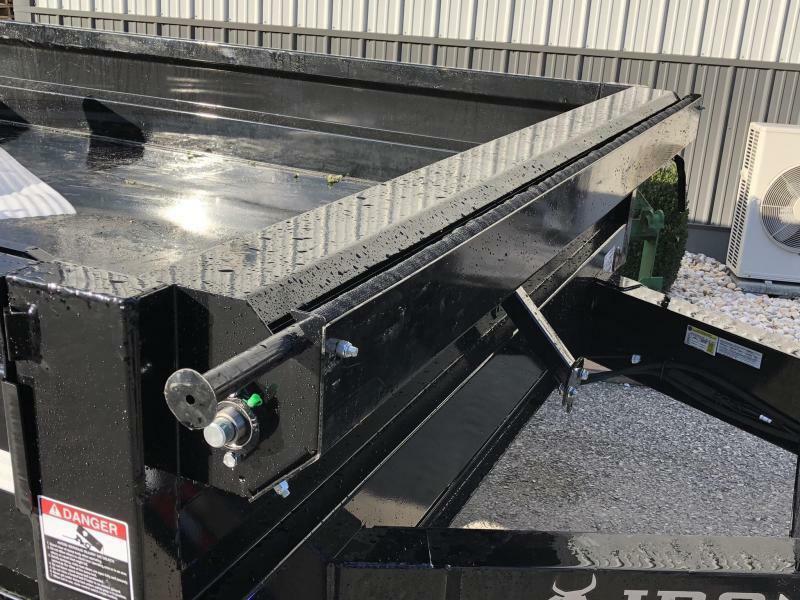 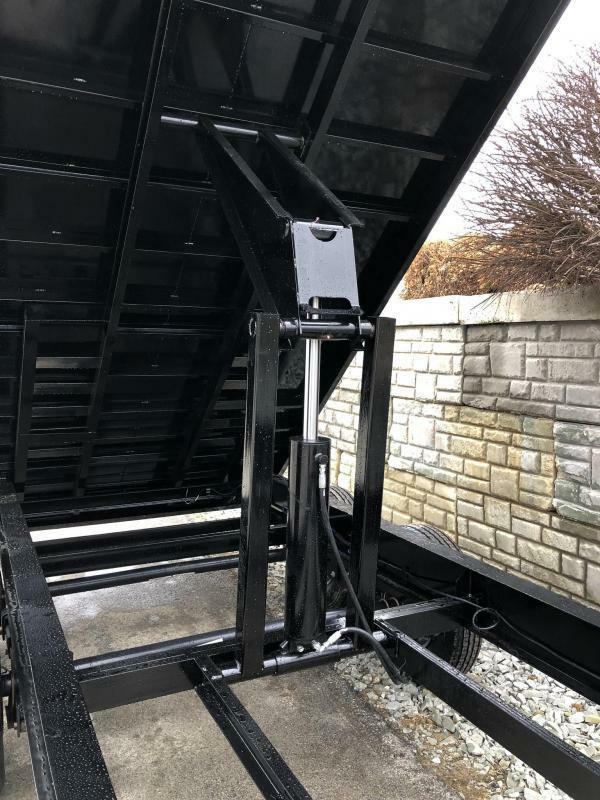 A standard scissor hoist with 520 cylinder and KTI hydraulic pump lift this unit to a near 45 degree dump angle and the retractable tarp system ensures your cargo will stay in your load and off the road. 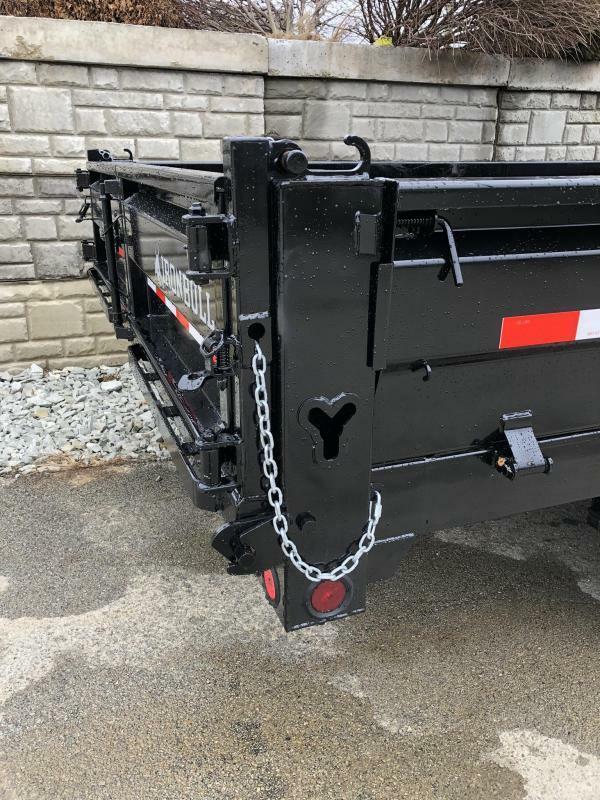 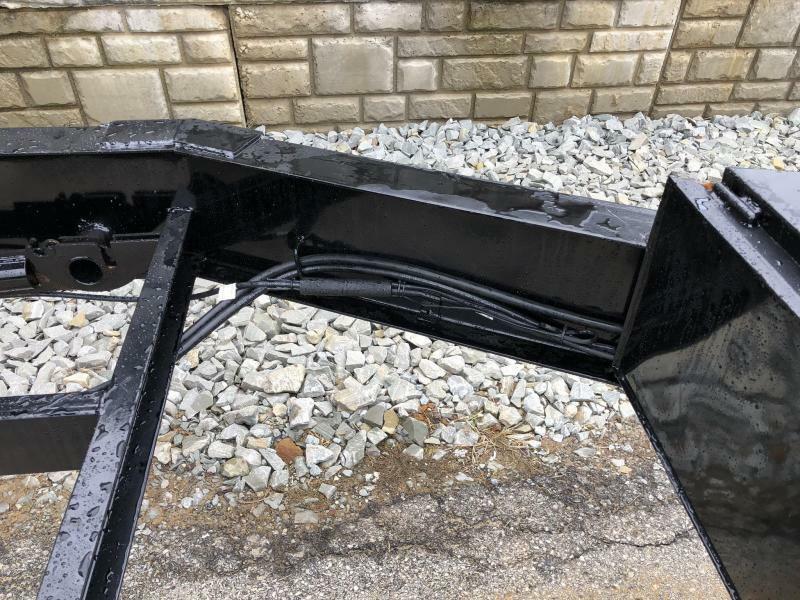 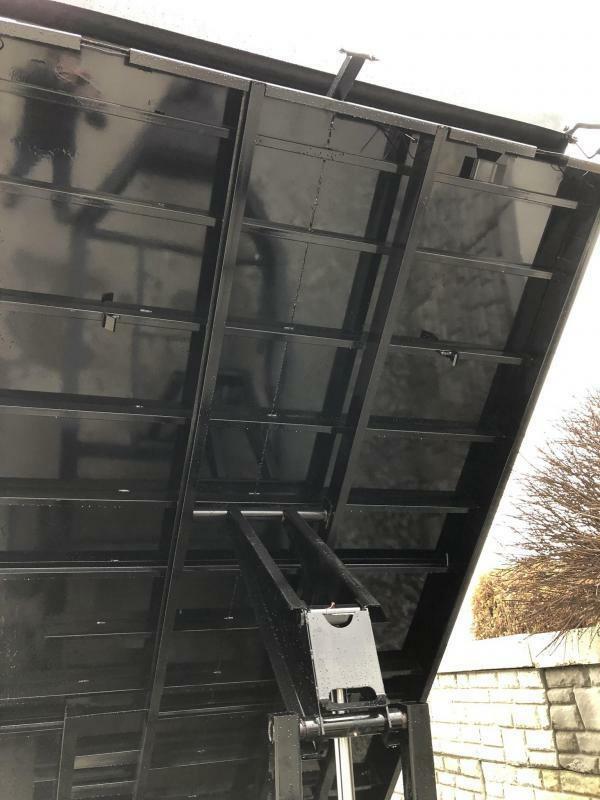 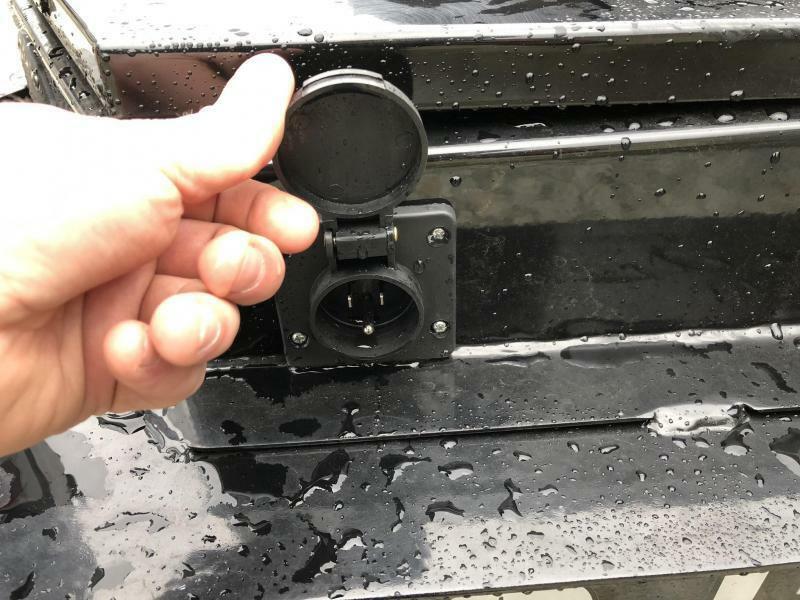 Three way gate functionality give you the flexibility to have a spreader gate, barn door gate, or truck style tail gate on your trailer. 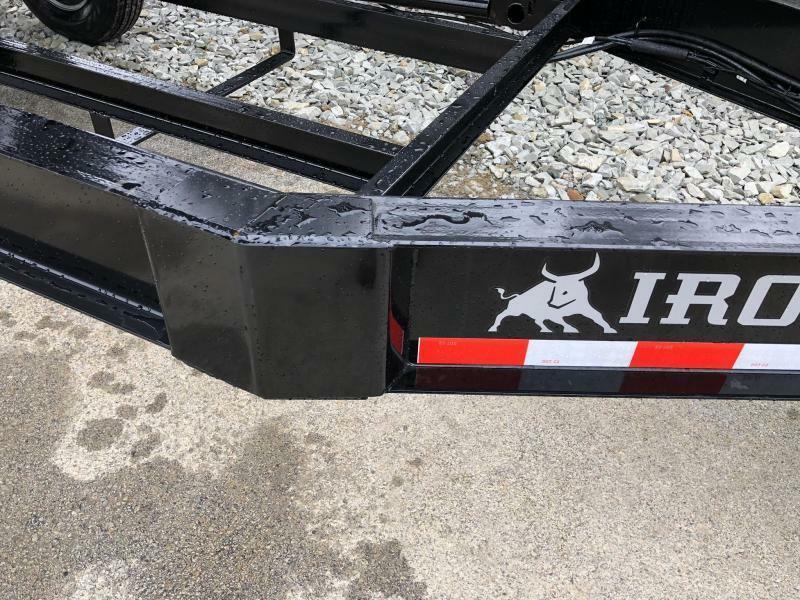 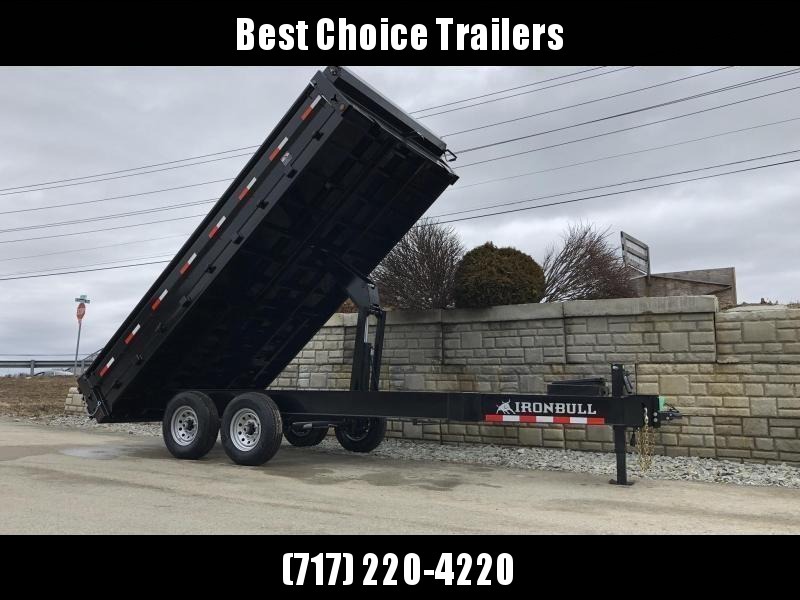 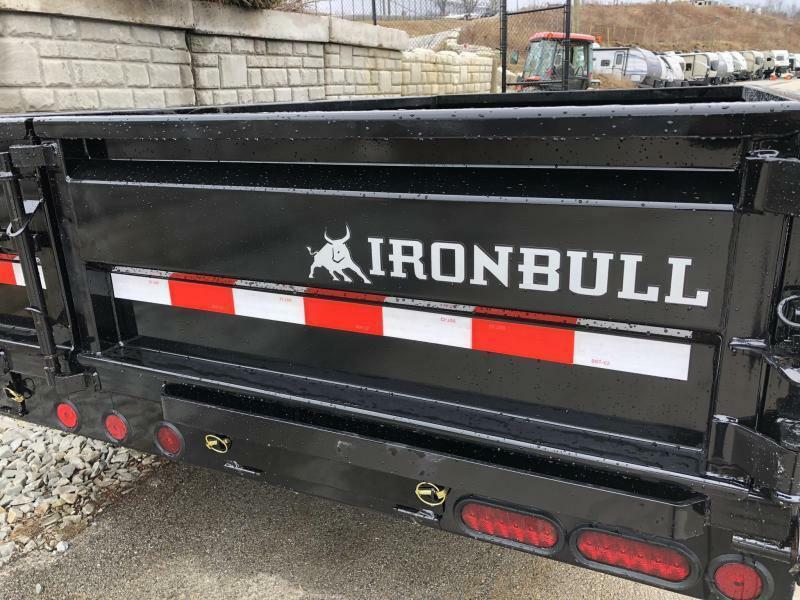 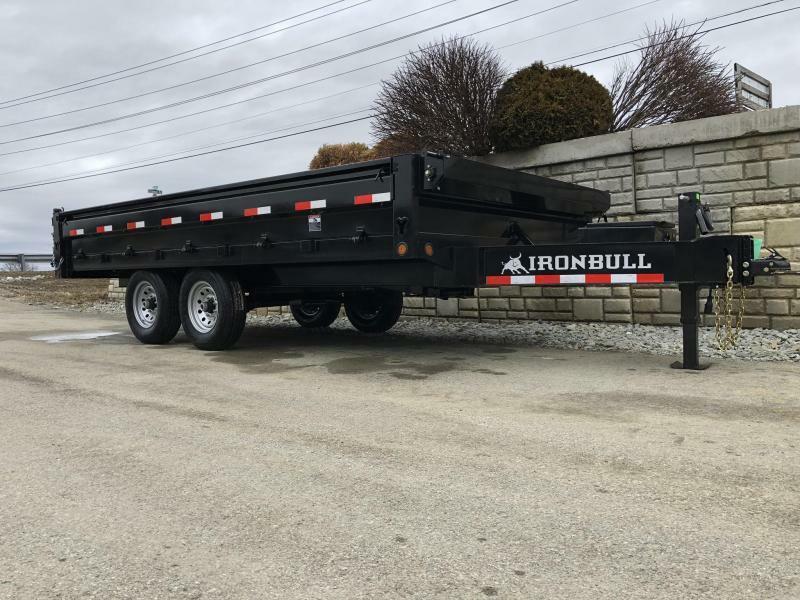 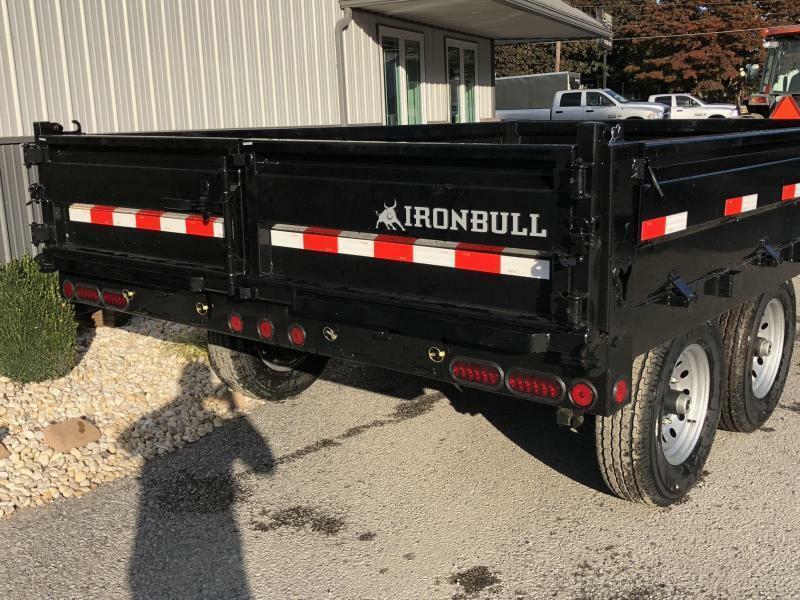 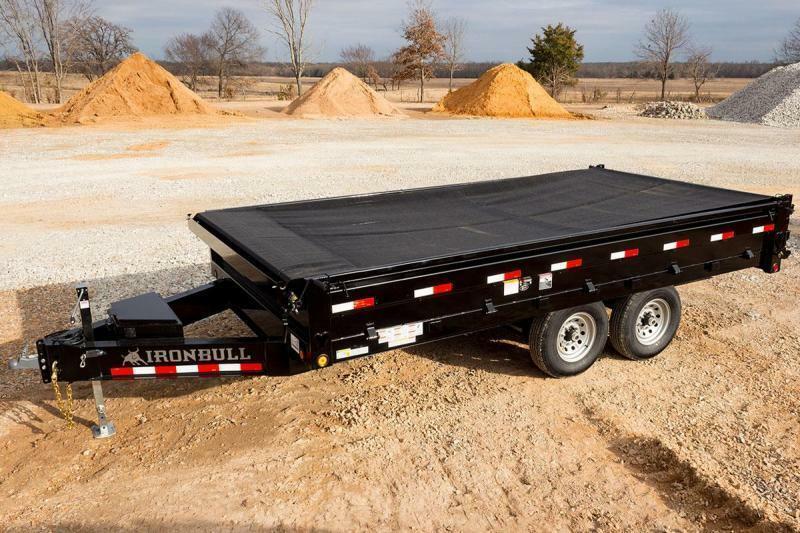 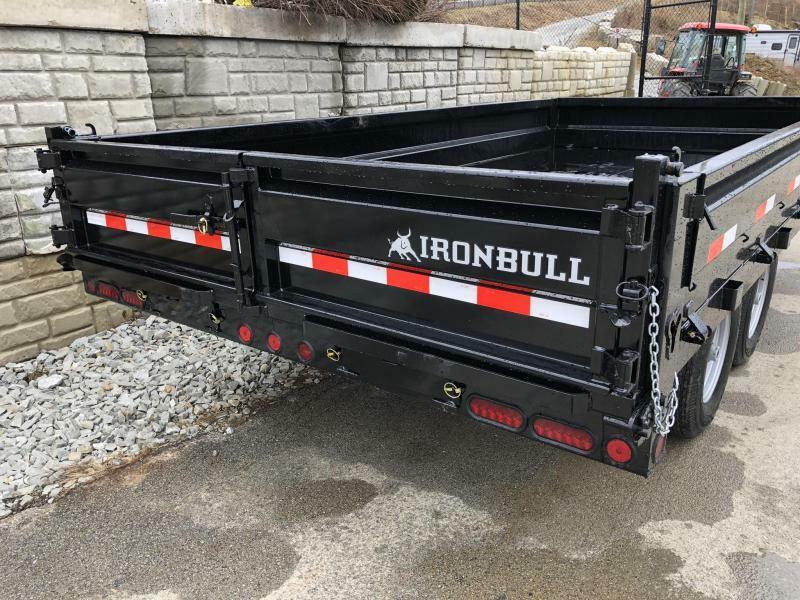 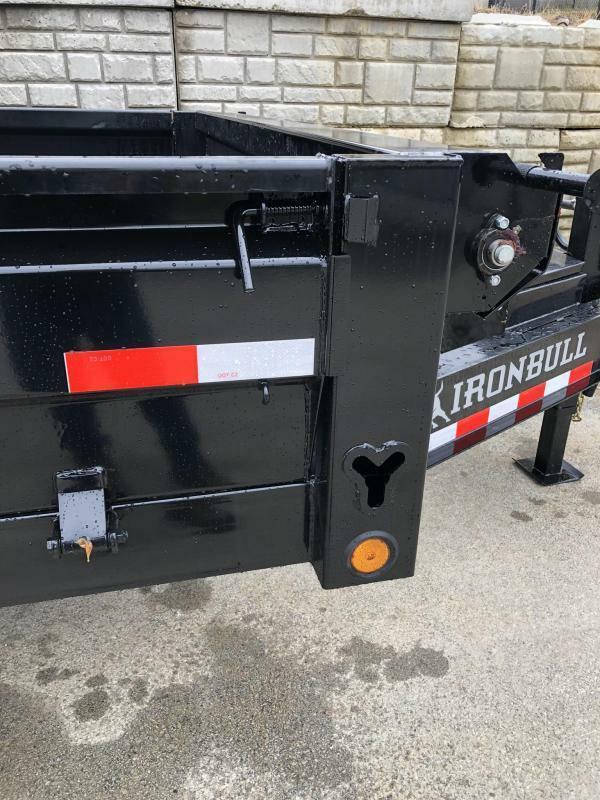 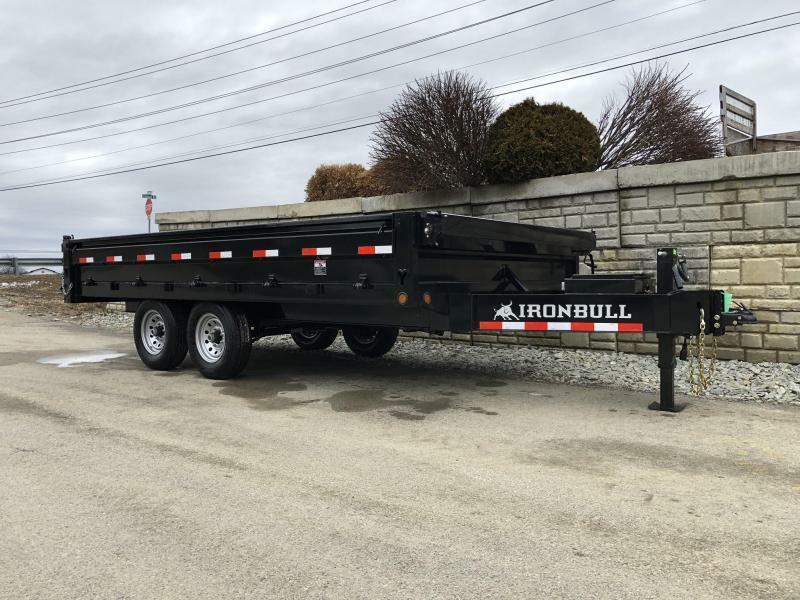 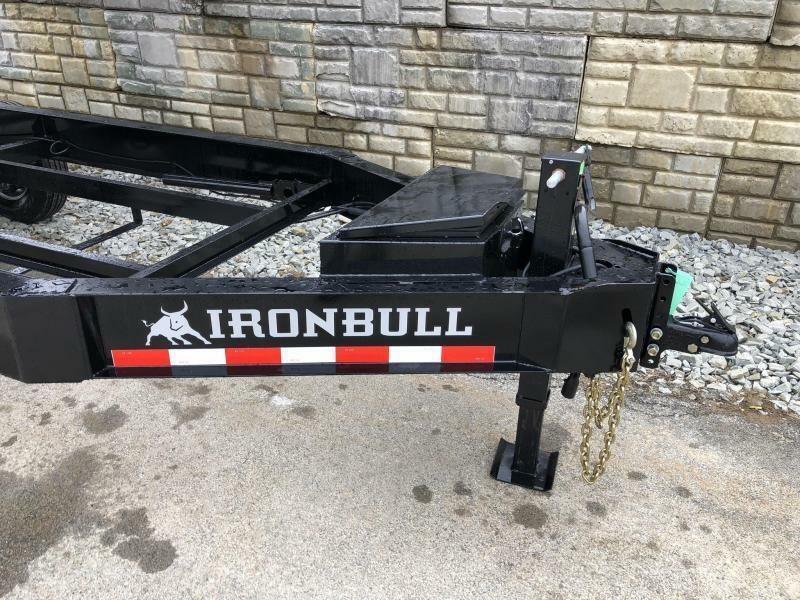 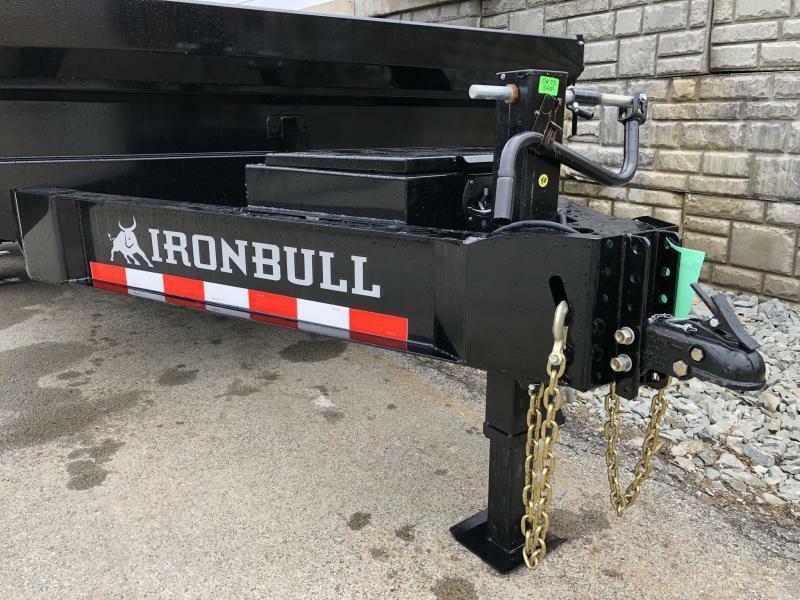 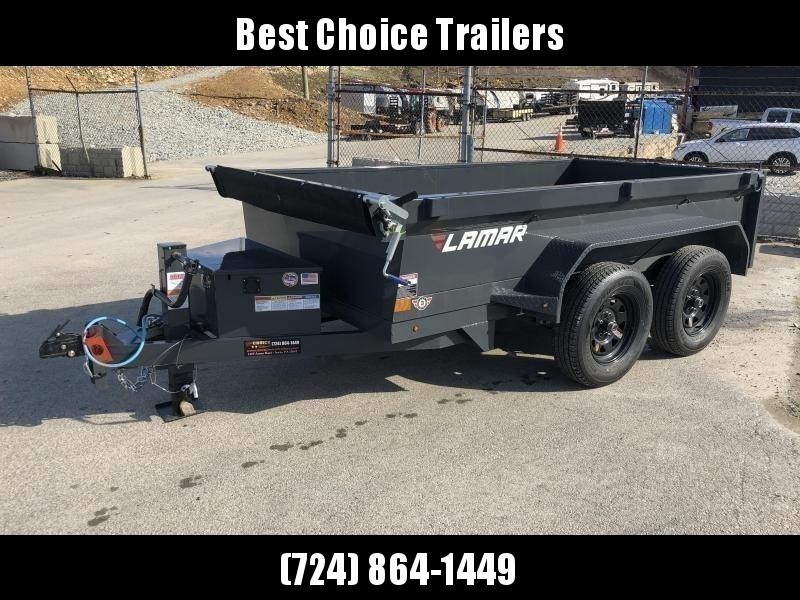 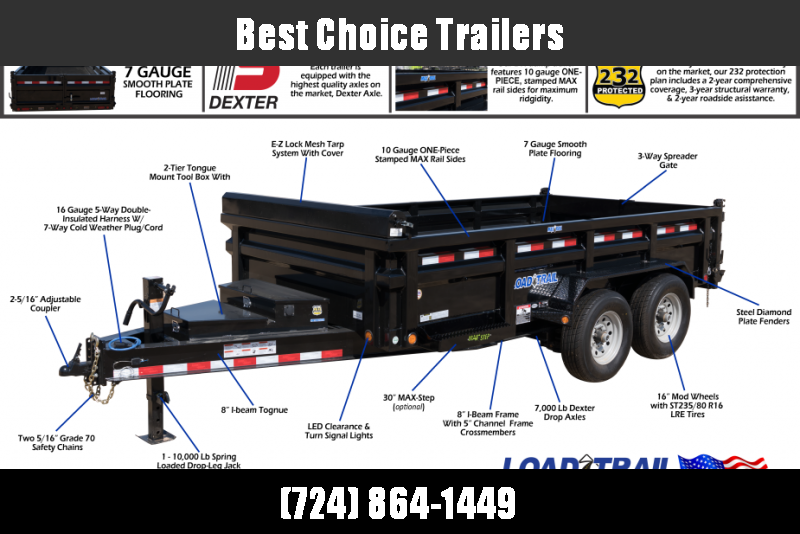 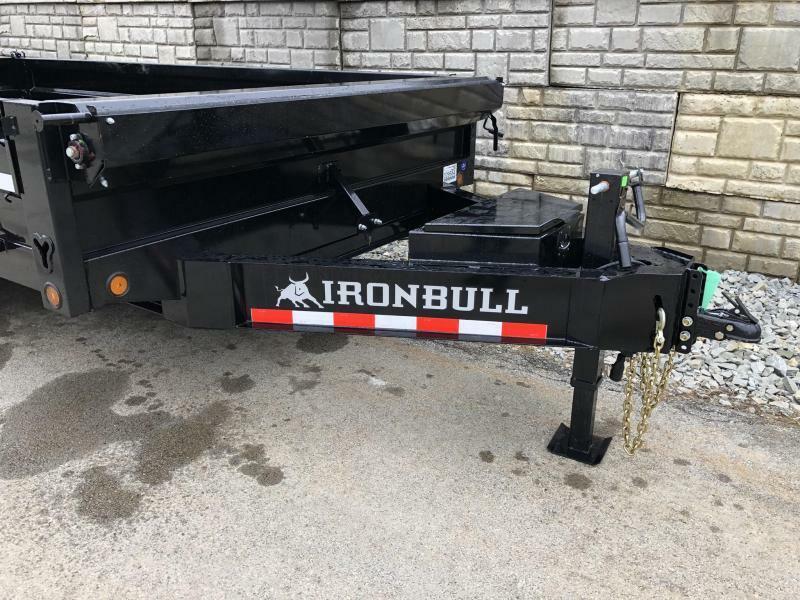 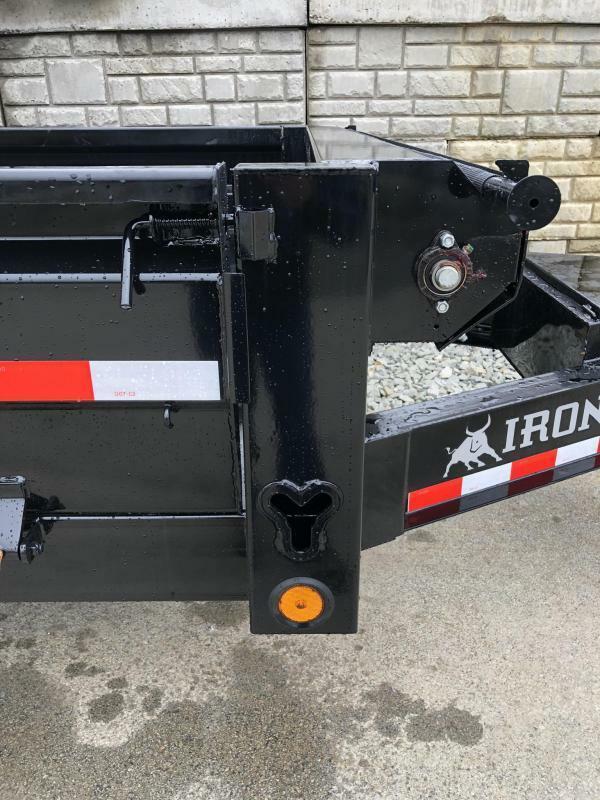 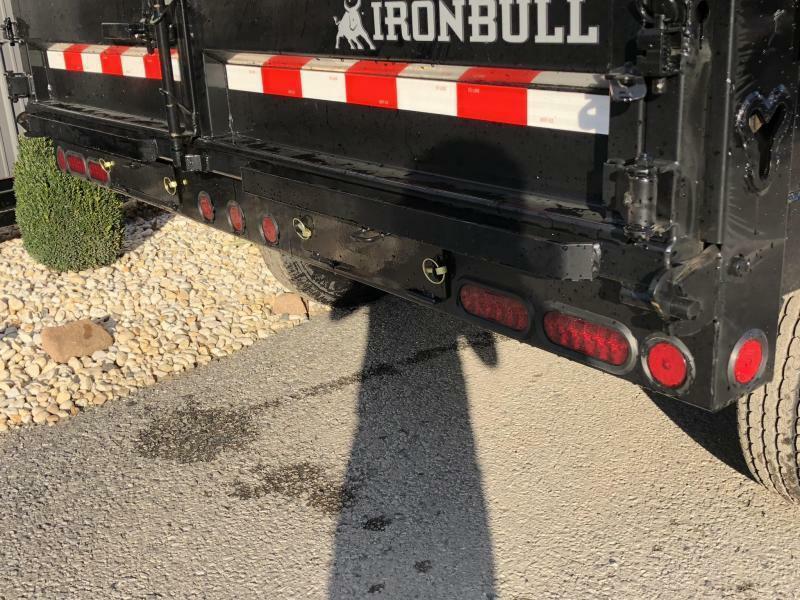 Every Iron Bull trailer is equipped with Dexter running gear and radial tires for a smooth, dependable ride and every trailer is backed by our industry best IronClad warranty providing 3 years structural, 2 years comprehensive components, and 2 years free roadside assistance that extends to the tow vehicle.